welcoming listeners and players from all around southeastern Vermont. 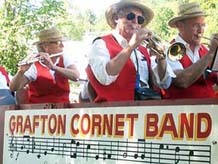 The Band welcomes Glen D'Eon as our new director. Glen is director of music at Fall Mountain Regional High School in New Hampshire who brings out the best with bands. Pre-season rehearsals continue with the next on April 14. 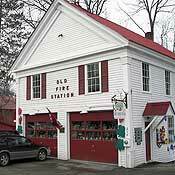 We meet upstairs at the Old Fire Station (map), always on a Sunday, 2:00-4:00 with a refreshment break (see "Upcoming" at right). All band players with any experience are invited.